Small paint rollers are ideal for crafts and some parts of painting projects, such as tight spaces and window and door casings. The rollers typically have a center spindle or rod that is attached to the handle. Regardless of the type of design your specific roller has, removing and replacing the brush is relatively easy. Rollers come in a variety of textures and styles to suit any type of painting effect you desire. Rollers that become worn need to be replaced. Spread newsprint over your work surface to protect it from paint. Place the small roller with the brush on it on top of the newsprint. Use the flat tip of a screwdriver to break away any dried paint on the ends of the roller brush. This will help the brush slide off easily. Apply light pressure at the joints. Wrap a cloth rag around the roller brush and grasp it with your hand. Press into the center part of the outside end, opposite the handle, with your thumb as you pull it off the spindle or rod. Wipe off any paint that may have gotten on the metal with a clean rag. Insert the replacement roller brush over the spindle or rod until it is completely on, and the outside end is flush with the tip of the spindle or rod. 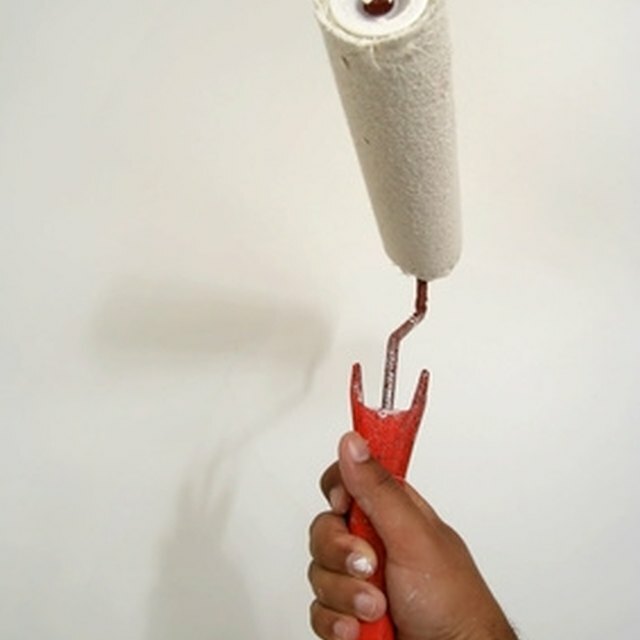 Rinse off your roller brushes immediately after painting to help preserve them for later use.